Set in the beautiful Chalke Valley, Henry’s studio at Knowle Farm will be the location for the stone carving workshops. The course is aimed at all abilities, from complete beginners with little or no previous experience to professionals, who would like to explore this fascinating and ancient craft in a small intimate group with close expert tuition. Students will be instructed in the basics of recognising and understanding which stones are suitable for carving, the different types commonly available and their qualities. Careful focus will be given on developing good tool skills, the correct way to hold and handle tools & selecting the right tool for the right job. We like to encourage students to bring along their own ideas, but can make suggestions for something to carve. The primary purpose of the morings is to have fun! There are few ‘rules’ when carving stone, a sense of creativity is highly encouraged, and the tuition will be aimed at giving students the skills needed to express that creative impulse. 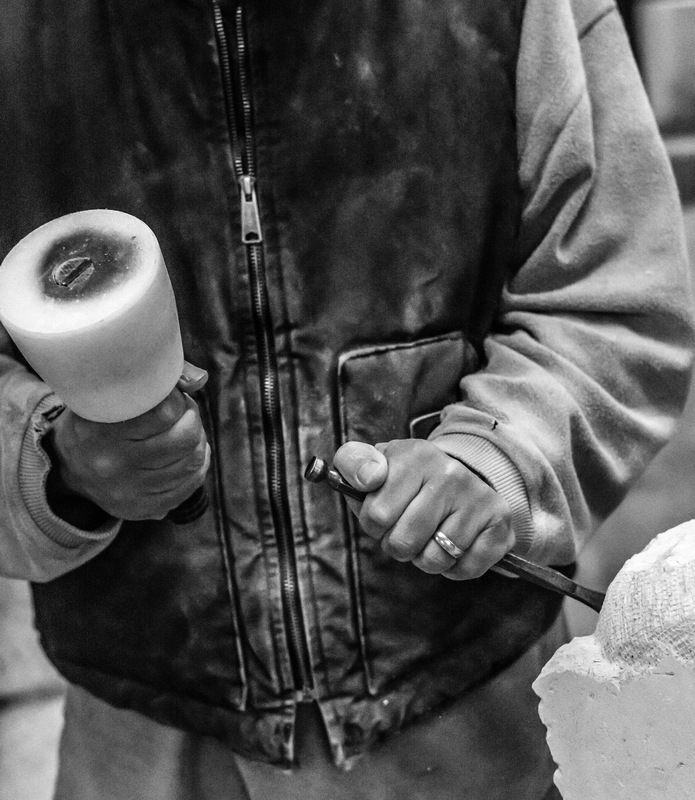 Each student will be given a block of Limestone with which to work, easily carved by beginners yet still a material of choice for many professional carvers, which is yours to take home at the end of the course. Coffee, tea, snacks are provided. All materials, tools, safety glasses and dust masks will be provided. Health and safety are of paramount importance, students are strongly advised to wear steel toe-cap safety boots (or stout footwear) and old clothes.